However, planning was underway for the future. In May 1905, architect Michael Cavanagh had agreed to sell a block of land opposite the new North Perth Town Hall to the Post Master General’s Department. In 1916, the North Perth Post Office and its attached postmaster/postmistress residence was finally constructed. Designed by architect Hillson Beasley, the new building cost £1,720. 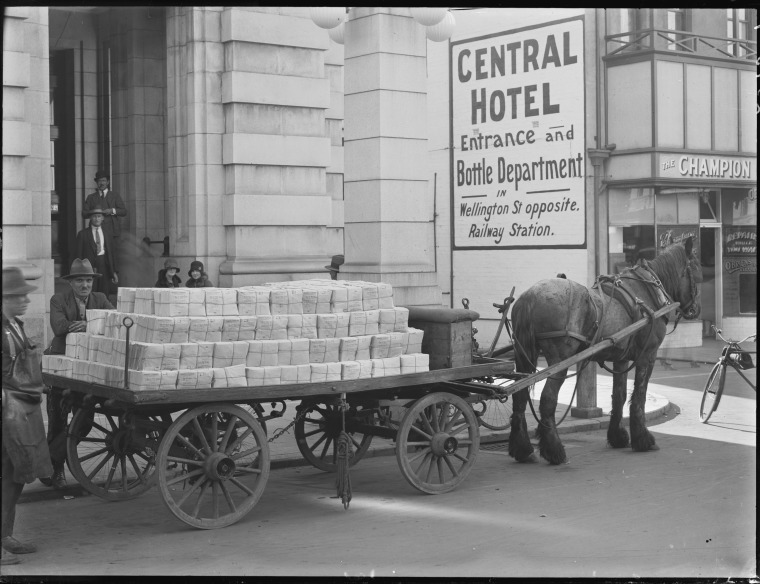 As the following image from the Perth GPO shows, mail was still delivered by horse and cart in the 1930s. 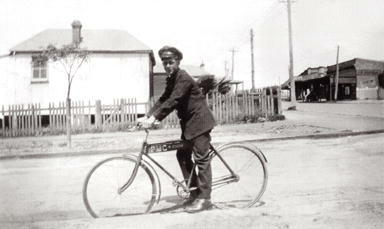 Telegrams, the faster form of communication, were delivered by messenger boys on bicycles. Colin Arthurs, the Postmaster General Messenger Boy, is shown on Fitzgerald Street in 1928. In the late 1970s, Fitzgerald Street began developing as the new shopping centre of North Perth, and patronage of the North Perth Post Office on View Street gradually decreased. 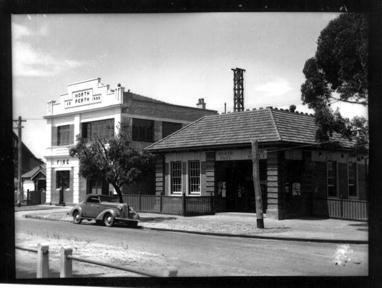 A new post office was built on the corner of View and Fitzgerald Street in 1996, and North Perth Post Office was renovated to provide office accommodation for the administration department of the Central Business District and Northern Suburbs postal services. In later years the Post Office operated as a retail location for WA designer Aurelio Costarella and is now a make up academy. 013562PD – Cart Loaded with Mail Perth GPO, 1930s. Sourced from the collections of the State Library of Western Australia and reproduced with the permission of the Library Board of Western Australia. This image has been preserved and made available by the Historical Records Rescue Consortium (HRRC) Project supported by Lotterywest.